Taco Bell has dominated the Mexican fast food industry for decades. Since its founding in 1962, it has grown to employ nearly 200,000 people and serve more than 2 billion customers per year. 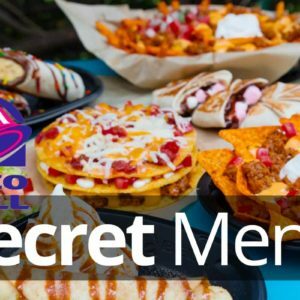 Some modifications of current items, and extras that you didn’t know were available, however, make the Taco Bell Secret Menu something any fan should know about. Taco Bell is part of the Yum! Brands corporation. This may not be a name that you are familiar with, but it’s one that owns many of the biggest fast food chains in the world. Yum! Brands are also the proud owners of KFC and Pizza Hut, as well as several other global chains. “Gidget” the Taco Bell dog led an advertising campaign that lasted for 3 years but lingers long in the memory. Every year Taco Bell serves more than 2 billion customers around the world. But it wasn’t always like that and Taco Bell had fairly humble beginnings. The story of Taco Bell begins with a man named Glen Bell, who had previously owned a hotdog stand. Bell watched as most of his business was taken by a nearby Mexican restaurant, one that he eventually began to eat in himself. This gave him the idea to start his own, which he did in 1951. He used the name Taco-Tia, and achieved moderate success. In the years that followed he opened up more Mexican restaurants and operated several others. This all served to give him experience in the industry and to introduce him to the American public’s love for Mexican food. In 1962 he used this knowledge to open and operate the first Taco Bell, in Downey, California. Its success was instantaneous, and within just a few years Taco Bell had licensed over 100 franchises, the first of which came just a few months after its launch. 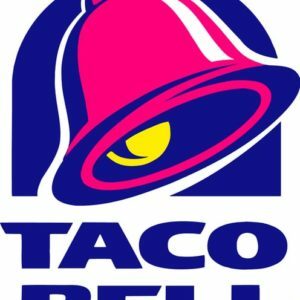 By the time Taco Bell went public in 1970, there were 325 restaurants in total. 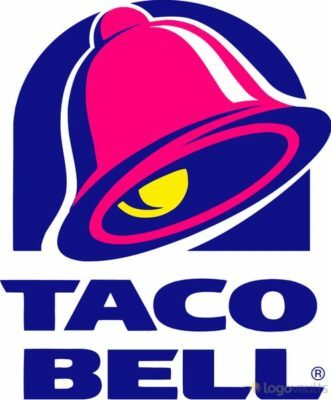 Glen Bell sold Taco Bell to PepsiCo in 1978. He lived to enjoy his fortune and his success for more than 40 years. Taco Bell have had some unique advertising campaigns over the years. This has actually played a huge role in making this brand what it is today. When it comes to fast food advertising, Taco Bell were the ones to raise the bar. They were the ones to introduce irreverence and the ones to push the buttons of their competitors. There is always a Taco Bell Superbowl ad to look forward to, always a campaign to keep this brand firmly lodged in the minds of generations. Known as Gidget, the Taco Bell Chihuahua was the restaurant’s mascot from 1997 through to 2000. In just a few short years this dog was part of some of Taco Bell’s most memorable ads. There as a voice-over during the ads that gave Gidget a voice, and this cute little dog was responsible for a massive increase in sales. In fact, when the campaign was discontinued in 2000, Taco Bell suffered a huge drop in sales. Gidget would later appear in other ad campaigns and films, before passing away in 2009. In 2009, Taco Bell produced a music video titled “It’s all about the Roosevelts”. This rap video was shown in theatres and was also seen by countless people online. Taco Bell have not shied away from attacking their rivals and showing the world their faults. In 2014, they mocked McDonalds’ muffins, saying they belonged in the past. They also gladly stepped in to replace McDonalds as a fast food sponsor of the NBA, a role that the Big M had held for 20 years. A line-up of soft shell tacos. Taco Bell is all about fast, simple and affordable Mexican food. At Taco Bell you can get a choice of tacos, burritos, sides, nachos, breakfast options and more. You can choose to create your own meal from a combination of menu items, or you can opt foe one of their meal deals or their combos. There is a big breakfast menu and there is also an extensive dessert menu. Taco Bell also have a lot of Cinnabon items on their menu, so you can grab a World Famous Roll for dessert for as a snack if you want. There are plenty of hot drinks and cold drinks as well. Taco Bell is all about the soft shelled tacos for most. These were what made Taco Bell who they are and its what many people imagine when they think of Mexican food. The burritos are also very popular. In either case, there is a wide variety of fillings for both of them, including ones that cater for special diets and vegetarians. The Taco Bell secret menu is one of the biggest around and one of the menus we had the most fun putting together. Taco Bell have jumped on the secret menu bandwagon and have gone out of their way to create items that you can only get if you know a certain codeword or if you’re willing to ask for them. It’s great to see this in a fast food chain, and it means you can have a lot of fun exploring what’s on the menu. Our Taco Bell secret menu page is full of these options and it is updated all of the time. So, if you want to extend this already extensive menu; if you want to see what else is on offer, then click onto our guide and see what’s available. A Taco Bell burrito from one of their restaurants in Spain. This is one of the biggest international markets for Taco Bell. It has performed well here over the years, after opening its first restaurant in 2004. In 2016, the number of Taco Bell restaurants in Spain reached 25. Nearly half of these are in the capital, Madrid. The rest are spread around the country, with most major cities having just 1 or 2 locations. The UK became the first European country to open a Taco Bell restaurant in 1986. The first store was followed by a second, both were opened in London. These closed soon after though and today there are no Taco Bell restaurants in the capital. There are 9 of them elsewhere though: 3 in the south and 6 in the North. This is one of the first stops for US fast food chains seeking to expand out of the country, and it’s one that usually works. That hasn’t always been the case, but it was with Taco Bell. There are currently Taco Bell restaurants in most Canadian provinces, with the first opening way back in 1981. There is a growing western influence in the United Arab Emirates, one that has been boosted by a massive influx of international tourism and trade. It seemed like the perfect market for Taco Bell to enter, which they did in 2008. The first restaurant was in Dubai. 2 more opened within 2 years. However, these had all closed by 2012 and Taco Bell have since left the UAE completely. Saudi Arabia has two Taco Bell locations, even though they are not well known for embracing western culture. These can be found in Riyadh and Khobar. Taco Bell had a very promising early start in Australia. They launched their first restaurant here in 1981, but things quickly soured and eventually they pulled out of the country. Taco Bell have tried and failed to launch their brand in many more countries as well. Such was the case with Greece and Poland. It was also the case in Mexico, where Taco Bell have tried on two separate occasions, succeeding with neither. Taco Bell were one of the first fast food restaurants to make their nutrition information publicly available. They have also made attempts to reduce the sodium in their food over the years and have generally done all that they can do to make their menu items healthier. They work with dieticians to ensure their food is healthier and more balanced and you can find a range of healthy foods on their menu. Of course, not all of it is going to be 100% good for you. But there are alternative options available. To read more about Taco Bell nutrition, click onto our Taco Bell nutrition infopage. Here you will find every menu item (all up to date), as well as calories, fat, sugar, sodium and more for each of them. Taco Bell create a number of different taco shells, including this red one. Taco Bell menu prices are incredibly reasonable across the board, and this is generally a place where everyone can afford to eat. Bigger meal deals cost less than $5. This applies to the Taco Bell breakfast menu as well. For example, their Cheesy Steak Burrito, which comes with a medium drink and hash brown, costs just $4.79. There is also a Taco Bell dollar menu. This is effectively a value menu, and one that goes by the name “Cravings Menu”. Here, everything costs a dollar. It might be smaller, thinner or less generous than the other menu options, but if you’re short on cash it could be just what you’re looking for. So, thanks to the Taco Bell Cravings Menu you can pickup everything from a Spicy Potato Soft Taco to a Cheese Rollup and Triple Layer Nachos for just $1. Most Taco Bell stores open during the morning, often at around 7:00am. However, Taco Bell store hours differ from location to location, and they also change during certain holidays.